"I suffer from fibromyalgia and have for 30+ years. I also have a degenerative joint decrease which causes severe pain in back, hips, knees and neck and sometimes hands and feet. When I first came to Dr. Eric’s practice I was in so much pain and was so sensitive to the touch, I could hardly wear clothes. I was being scheduled for back and neck surgery (my second) and was taking five prescription pain medicines a day. The relief and maintenance has kept surgeries at bay and the fibromyalgia under control. I walk about five miles a week (a huge improvement); I no longer suffer from sleep apnea and I take only (??) pain medicines. I cannot stress enough how much his care has improved my quality of life. His techniques are not “cookie cutter”, but individualized for each patient and each visit. In my case what we did on Monday may need to change on Thursday. 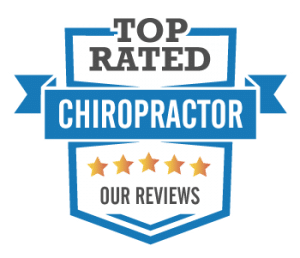 Out of all the chiropractic adjustments and treatments I have tried in the past 30 years, I find Dr. Eric’s methods more individualized, specialized and effective than any of the others. I plan to continue with his practice for as long as we are both around!" "I didn’t know what to expect. I had heard horror stories about people feeling worse after they left Chiropractor’s offices. I heard about Dr. E from my friend. I was suffering from knee problems and was in severe pain. I could not run at all. I have been healed of my knee pain! He not only treats but he educates as well. I have since told others and my husband was experiencing shoulder pain. He had been to several doctors and all they could offer was pain pills and an expensive MRI. I sensed that he should see Dr. Eric but I wasn’t sure if he could treat his type of problem. But after his first appointment and following Dr. Eric’s recommendations, husband cancelled his other doctor’s appointments and then MRI because he began to experience less pain. I appreciate Dr. E."
“My pain levels have decreased substantially. I am no longer on pain medicines. I feel as if the root problems in my neck are being resolved, resulting in less pain and more range of motion." "I had soreness in my right shoulder which awakened me throughout the night. I play tennis and was unable to serve or hit overhand without severe pain. After two weeks, I was sleeping all night without pain. After a couple weeks additional treatment I was able to serve, also without pain. This had made a major difference in my comfort level while playing tennis." "I had frequent back pain and headaches. It really affected my daily activities at times. I rarely have headaches any more. The back pain and stiffness are minimal and I can do what I want when I want. It’s so much better!" 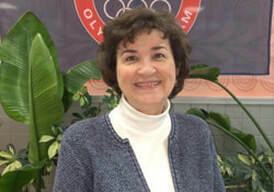 "Dr. Eric was recommended to me by friends because of my involvement in national level Jr competitions in the shooting sports. 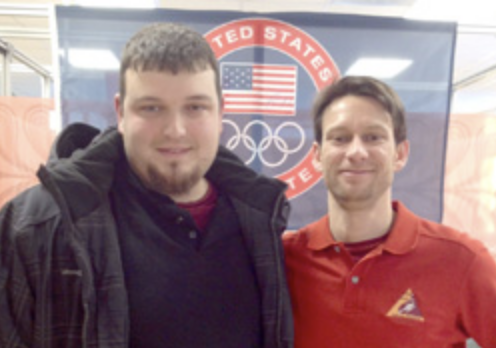 Dr. Eric worked with me to understand the unusual physical demands of international style shooting to help me avoid injury by creating routines to strengthen and stabilize my body. 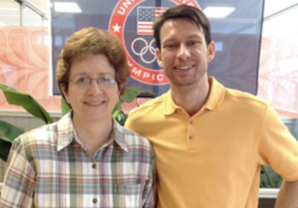 I have had much more success with Dr. Eric than the chiropractors at the Olympic Training Center." “Within two weeks, I could stand up straight, walk normally and turn my head from side to side. My pain levels decreased and I was finally able to sleep through the night." 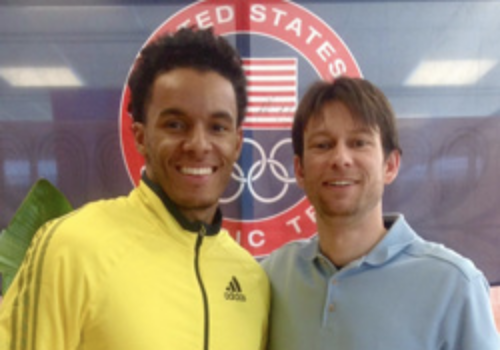 "Achieve Chiropractic has helped me get back in the swing of things in track and field. ; recording a #12 ranked performance in the World for 300 meters in the Hampton University Invitational. Thank you Achieve chiropractic for keeping my body in the top shape that it needs to be in." "I was attempting to accept that I could do “less” due to the pain! My pain is almost gone and I am thinking of things I want to do!" "I could not turn my head to the right past 20 degrees. On many occasions it snapped causing great pain. After the first visit I could spin my head around past 90 degrees. With continued visits there is no problem at all turning my head from side to side. After chiropractic sessions with Dr. Eric, I always leave with feelings of relaxation and peace." "My lower back was in acute pain. Spasms had just begun to subside so I could even drive. After only two weeks, my low back movement is almost pain free so now I want Dr. Eric to begin “fixing” my neck and shoulders. These are long term issues yet I see spectacular results in store with Dr. Eric’s work." "I was hardly walking and needed a cane. My pain level was a nine or ten most days. I could not sleep at night and could not sit or lie down for long periods at a time. Little to no pain walking with no cane and sleeping at night is great! Thanks Dr. Eric for all that you have done."